"Two are better than one; because they have a good reward for their labor. For if they fall, the one will lift up the other." Ecclesiastes 4: 9:10. Remington Brandt, formerly of Eads, and Camie Idler, a McClave graduate, were married in a mountain setting near Rye, Colorado. Brandt is a graduate Colorado State University-Pueblo and Camie is a Dental Hygienist after graduating from Pueblo Community College. Ernie and Judy Hammer of Wild Horse celebrated their 60th Wedding Anniversary at a lovely reception in Kit Carson a week ago. At Kit Carson Day, they and their little grandchildren were in the parade in one of their carriages pulled by their handsome horses. Leanna (Woods) and Charles Collins were gratified to see all the people who wore those beautiful tee shirts that many Weisbrod Hospital staff wore last Thursday at work and at the benefit supper for the Collins family. Leanna has been afflicted with cancer for some time. The generosity of Colorado plains people is remarkable! Karl and Sarah Eikenberg and their four children have moved to Eads from the Greeley area. We do welcome them to Rittgers Street. Karl formerly lived in Haswell and was a real asset to our student body as a Student Council officer and an athlete. There have been four deaths recently, three of former residents who have been or will be buried in the Eads cemetery during the week. The Eads person was Ted Dolph, who was a decorated Viet Nam Veteran from Fort Morgan. 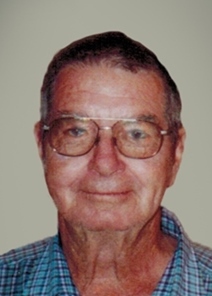 He was an Eads resident for many years. He and his wife, Karalyn Lyon, were my neighbors for a long time before they moved to Lowell Street. His family had a gathering at Ted's house Sunday, September 3. 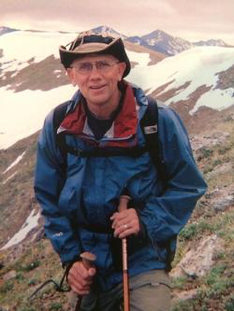 David Harrison, an Eads Class of 1960 graduate and graduate of Colorado School of Mines College with degree in Petroleum Refining Engineering. He and his wife, Diann (Scroggins) last lived in Wichita, Kansas. Their sons are Scott and Keith and Shae and Lauren Harrison of Pennsylvania. 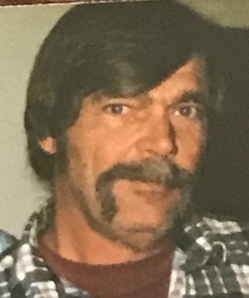 David's graveside committal will be Monday, September 11, at 10:00 a.m.
Don Barlow was one of 12 children and the twin of Donna (Barlow) Miller. They both lived in Apache Junction, Arizona. Don married Sandra and had three children. He was a Korean War Marine Veteran. After he worked for Martin Marietta he worked for the Denver Police Department for 25 years, then they retired to live in Apache Junction, Arizona. Don's graveside committal was Sunday September 10. Doris (Reed) Forsyth was an 1943 graduate of Haswell School and Denver University. She lived most of her life in Haswell and Eads where she taught school in both towns. She and her husband, Gene, of 47 years raised three sons; John Douglas of Washington state and Michael Scott of Washington state where she moved in later years to be near them. Son, Prentice Mark lives in Singapore. 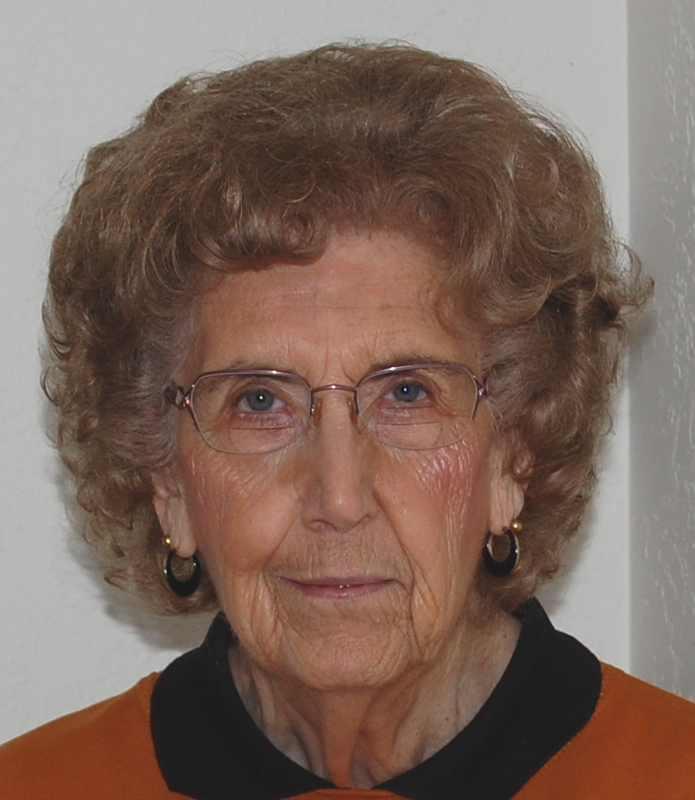 Her remains also are to be buried in the Eads Cemetery Thursday, September 7, at 11:00 a.m.
September 6 to 10 are the five days of the Kiowa County Fair. Store fronts have been more decorated and home owners have mowed their lawns to welcome visitors who come for the popular two breakfasts Thursday and Friday mornings. Judging of animals and home making exhibits will be done Wednesday and Thursday. Everyday there is some kind of rodeo happening, dances Friday at the fairgrounds and on Maine Street Saturday night with a beer garden and food and free movies hosted by the Crow Luther group. The parade Saturday at 10:00 a.m. will be extraordinary and great to watch with floats, groups, an auto show, horsemen and women as well as Rodeo royalty. The 2017 Fair Queen, Reagen Johnson, with Princess, Kiya Leonard, and Tiny Tot Princess, Savanna Brown. 2018 Queen Morgyn Johnson will also ride in the parade with new Tiny Tot Princess, Braya Ferris. When I have volunteered in the barbeque shelter, I have been astounded to see all the people who come from so many towns and states. It is a bargain to pay $8.00 for the beef or pork meal and to see the tremendous PRCA Rodeo and races. Fair Board member, Raelynn Riley, tells me that she has more vendors than ever. Won't that be fun along with activities and games for the youth? All the board members are VOLUNTEERS and have been working every spare minute and overtime to make this a great fair. So, let us all go out to look at the exhibits and participate in some good old country fun. This is a list of the Eads student royalty who readers may be interested to know who those attractive and handsome teenagers are: Freshman--Molly Kelley and Joe Hasse , Sophomore : Lauren Brown and Keaton Coen, Juniors: Miranda Mitchek and Blake Stoker, Seniors are: Madison Kelley, Brenna Rouse, Mariah Smith, Mindi Uhland, Zachary Haase, Damian Hernandez, Trey McDowell, and Trevor Randel. Thanks to the local sponsors who paid for broadcasting of the Eads volleyball game at Springfield Thursday night where they won. There were four games last Friday night of the Middle and High Schools with Otis. There were more people at the high school game than I have ever seen! Part of the reason is that there was no admission fee that night and the electric company who has been working at the school hosted a fee barbeque at the cafeteria for about 500 people. I wish it could grow to be "loyalty and school spirit." Friday, September 8, the golf team goes to La Junta, the livestock sale of 4-H and FFA animals will be at 9:30 a.m. and there will be a football game at 7:00 p.m. with Genoa-Hugo. This is a reminder from Alumni Officers: Nancy (McCracken) Walker, Kim (Crow) Richards, and Verna (Kelley) Ebright for those who plan to go to the Alumni Banquet: it would be best to pick-up your packet and name tag at the Multi-Purpose Room in the High School right after the parade. That helps us with the count too. One could get their packet about 4:00 p.m. to banquet time at 6:00 p.m. Some classes may meet separately during the fair or after the banquet. Gates open at 5:00 p.m. on Maine Street where the CLCEC will feature singer, Rhett Uhland at 8:00 to 9:00 p.m. and at 9:30 to midnight the Braydon Zink band for dancing or listening to while you visit or eat. This is a fundraiser for everyone with admission of $5.00 and free for less than five years old. There will be free movies in the theatre. 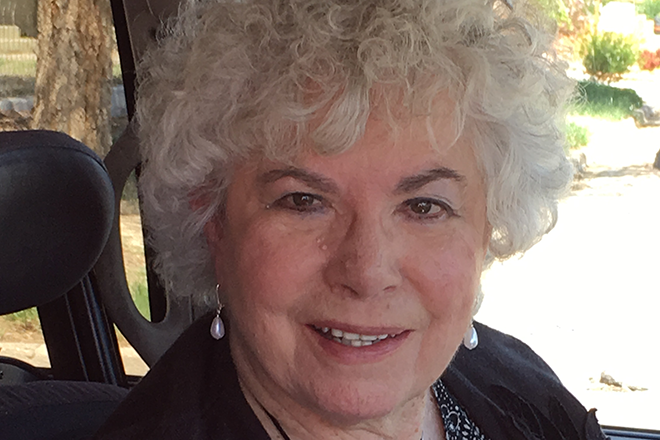 Judy (Wilson) Jacobs was named the "Good Scout" at the Kit Carson Day Parade. She is a very worthy recipient of this coveted award. Her husband, Kenny, daughter, Tracey Weeks and son, Wade Jacobs are glad for her. I was pleased to see Cardon and Joyce Berry in their black and white 1957 Ford on the parade route. The rodeo royalty from Kiowa County was there as well as Areta Blooding-Laird and John Jacobs of Eads with the Kit Carson VFW entourage in the parade.